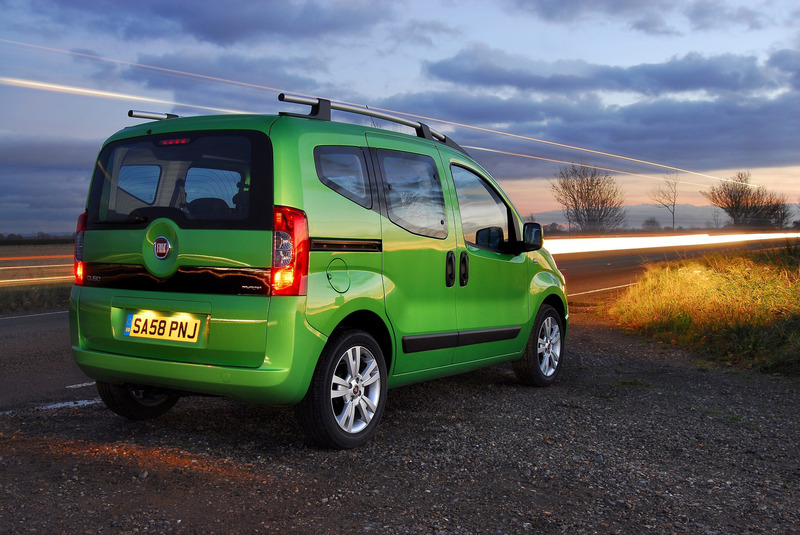 Using the highly acclaimed Grande Punto platform as a base, Qubo is aimed at drivers who want to combine versatility, space and a car-like driving experience without sacrificing individuality. 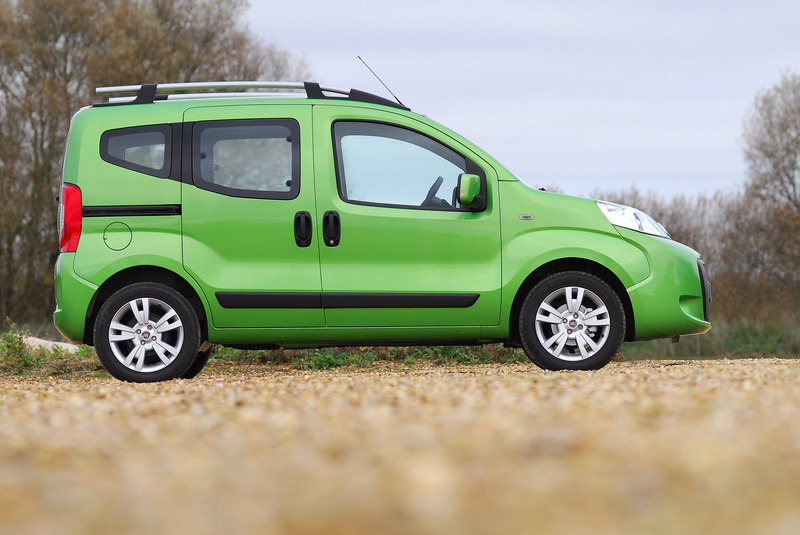 The Qubo has been designed to appeal to buyers who are confident in a car that's anything but run of the mill. 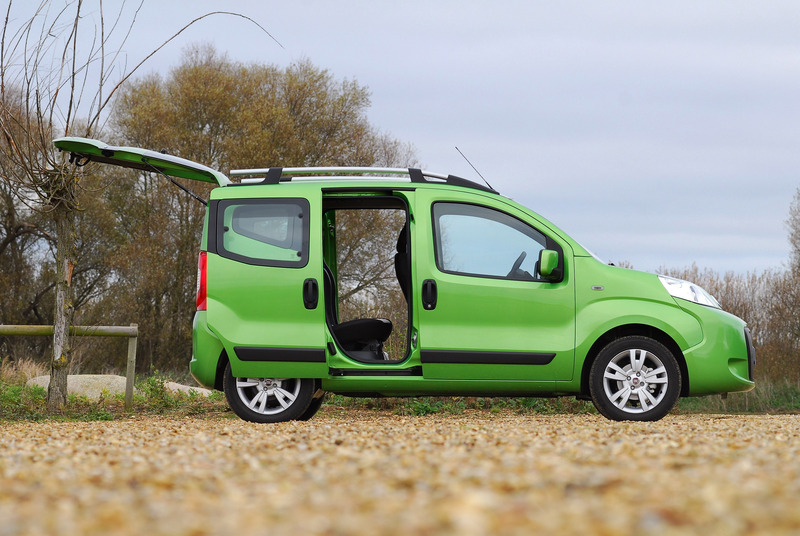 As easy to manoeuvre as a supermini, it feels as spacious and comfortable as an MPV. This is achieved thanks to a large glass area that doesn't just give the interior its airy feel but also boosts visibility and contributes to the car's unique look. It's neatly summed up by the out of the ordinary name. 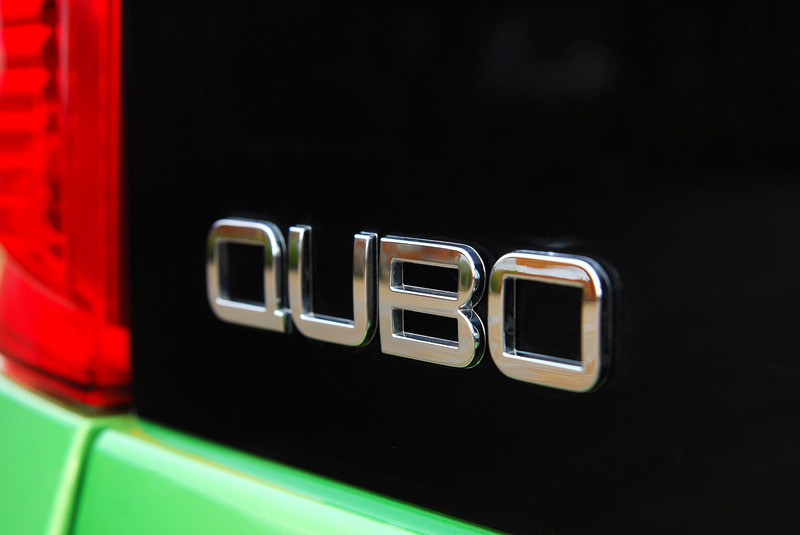 A play on the word Cube, Qubo hints that this car has far more to it than meets the eye. 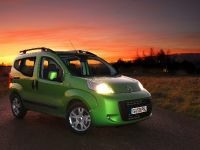 Four versions of the Qubo will be available when it goes on sale this January with prices ranging from £9750 to £12,350. 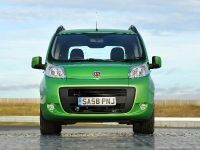 There will be two engine options, Fiat's award-winning 1.3-litre MultiJet turbodiesel and a perky 1.4-litre petrol, plus Active and Dynamic trim levels that incorporate a generous amount of standard-fit equipment. Safety features are a priority, with all models offering driver, passenger and side airbags as well as head restraints and three-point seatbelts for all five seats. 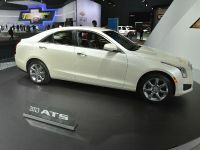 ABS anti-lock brakes and EBD Electronic Brake Distribution are also standard fit. 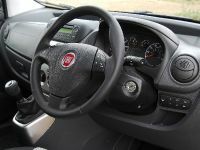 The car's comprehensive standard equipment list, including electric front windows, power steering and a fully adjustable steering wheel, is further enhanced by Fiat's unique and highly innovative Blue&Me hands-free communication system. 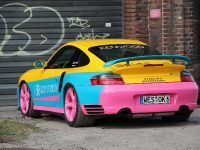 This features across the range and is unique for this class of car. 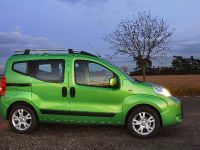 The more highly specified Dynamic model comes with air conditioning, body-coloured and heated electric door mirrors, anodised aluminium interior door handles and dash inlays, height adjustable driver's seat, roof bars and 16-inch alloy wheels replacing the regular 15-inch items. 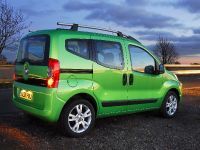 Signalling that Qubo has more to it than the ability to shift loads and people in comfort, it will become available with a choice of nine vibrant colours including a funky green and fiery orange. 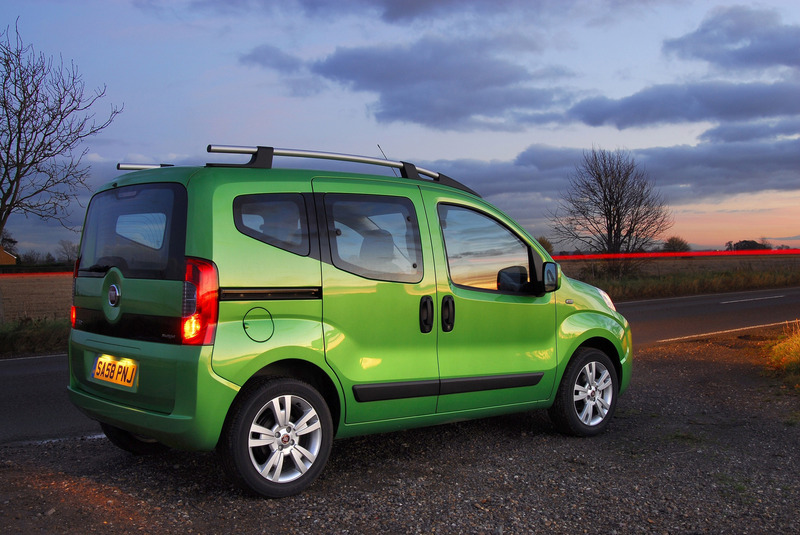 These are the perfect complement to a shape that's sleek and streamlined but also incorporates a raised driving position for maximum visibility and safety. 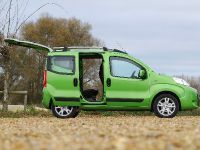 Cleverly considered details include a protruding front bumper to protect vulnerable components, along with sliding rear doors to maximise the practicality of the Qubo's five-seat layout. 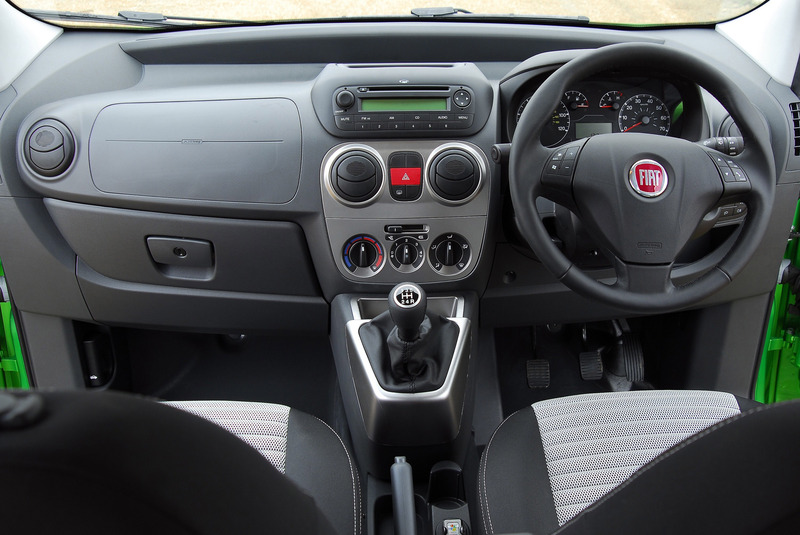 The comfortable but versatile interior has been designed to look stylish while still being hard-wearing and driver friendly. It's also capable of adopting 16 different positions. 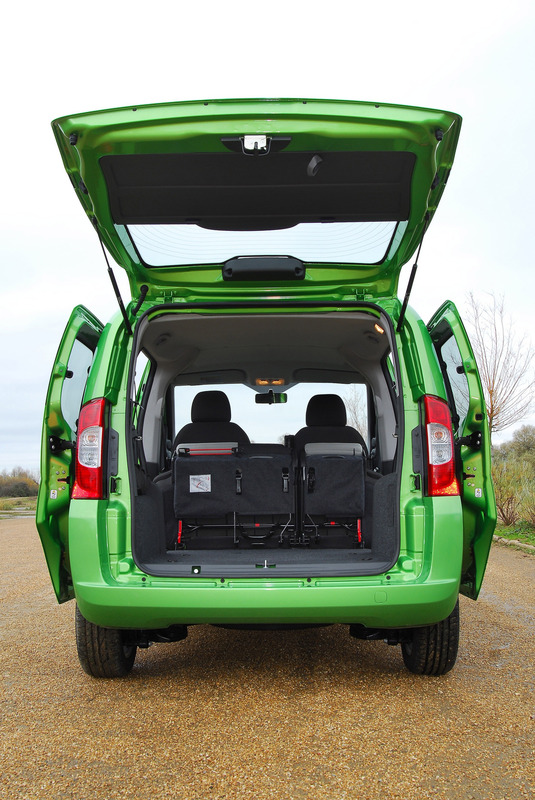 Remove the split folding rear seats and 2500 litres of load space is available. 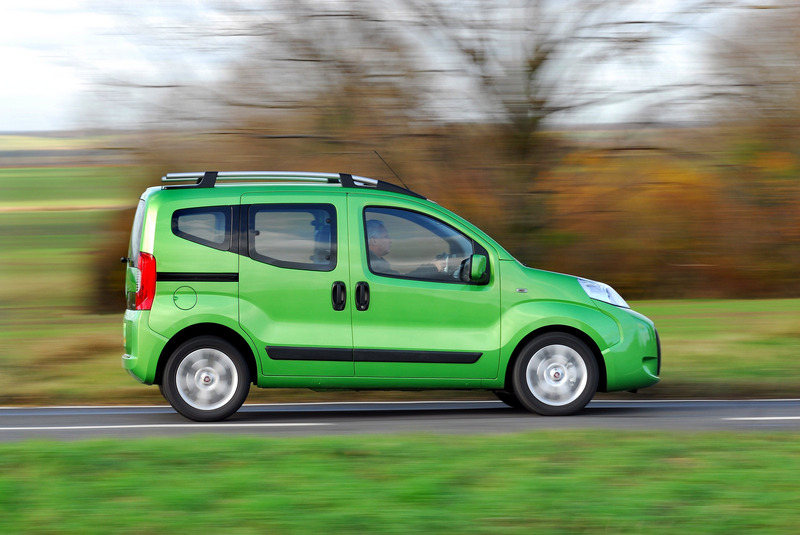 Both the Qubo's engines conform to the latest stringent emissions requirements. 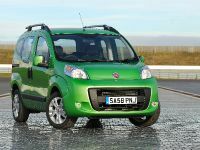 The 1.3-litre 16v MultiJet returns a Combined economy figure of 62.8 mpg, and low, tax-friendly emissions of 119 g/km. 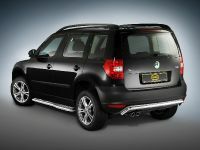 Strong economy is also one of the bonuses of the 1.4 petrol, thanks to its multipoint injection system. 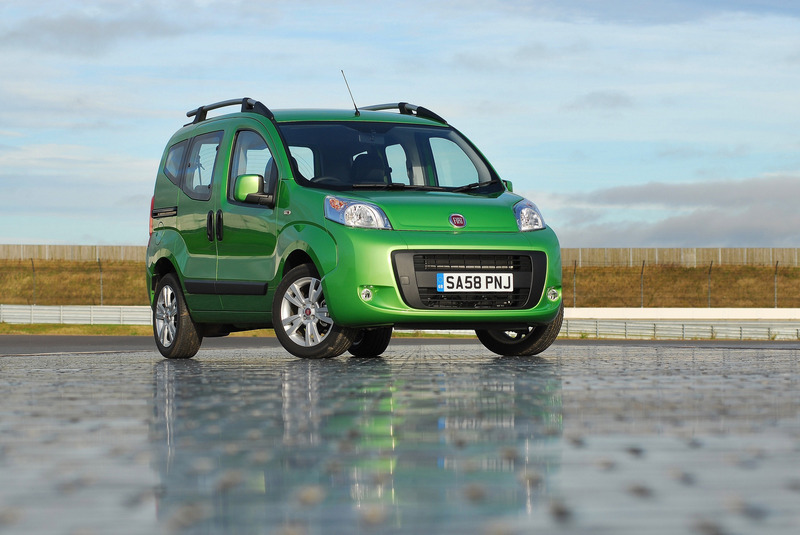 The MultiJet engine can be specified with Fiat's Dualogic six-speed automatic transmission. This can be used as a clutchless manual as well as a full automatic. And there's an Economy button to help maximise fuel consumption. to download details of their driving and have it analysed by a bespoke computer programme. 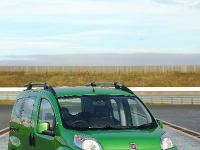 The result is that they can reduce substantially the impact their car has on the environment, and save fuel too. 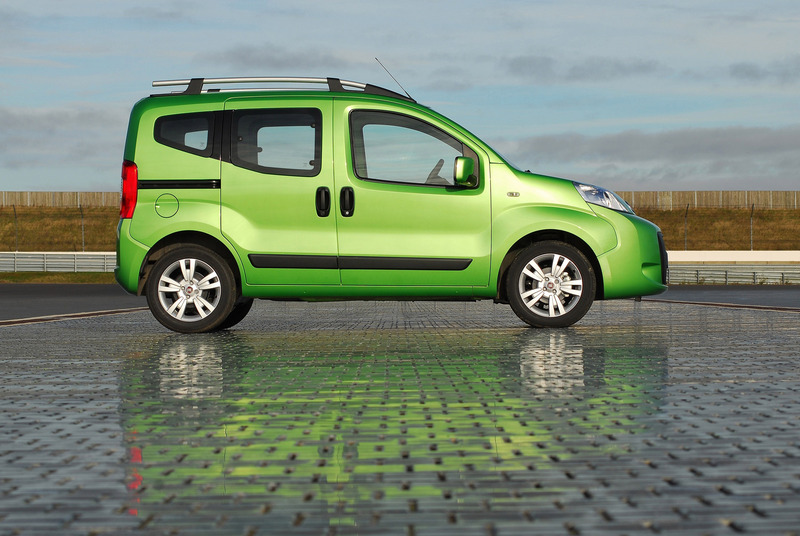 All of which makes the Qubo an eco-friendly family member that's versatile enough for people who need a smart yet straightforward car to integrate seamlessly into their busy lifestyle. 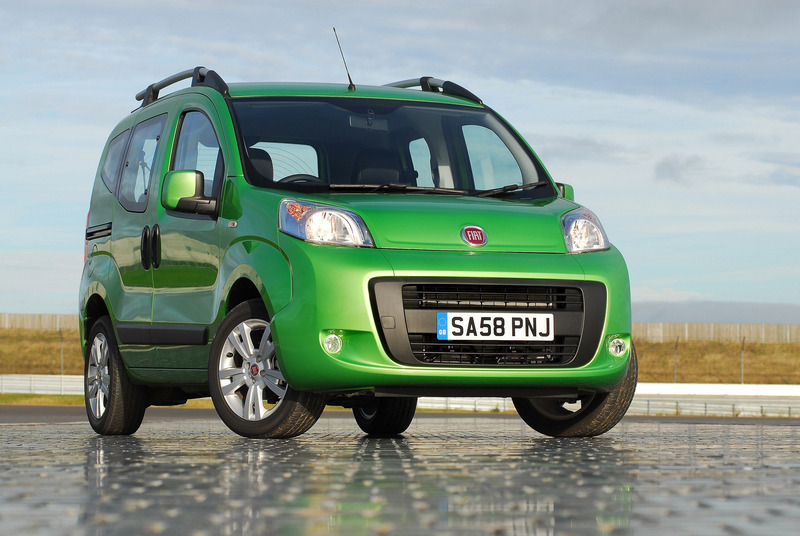 Fiat Qubo has been designed to appeal to a wide cross-section of buyers. 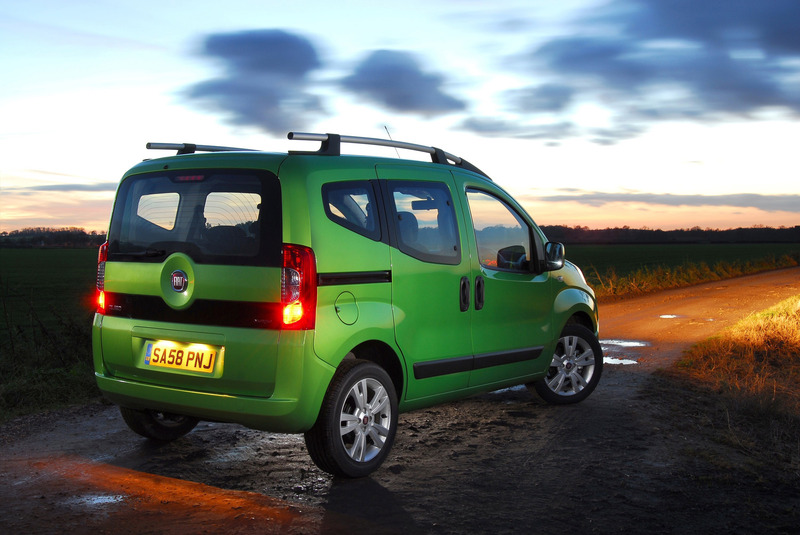 But one thing they'll all want is a car that looks after its occupants as well as their needs. 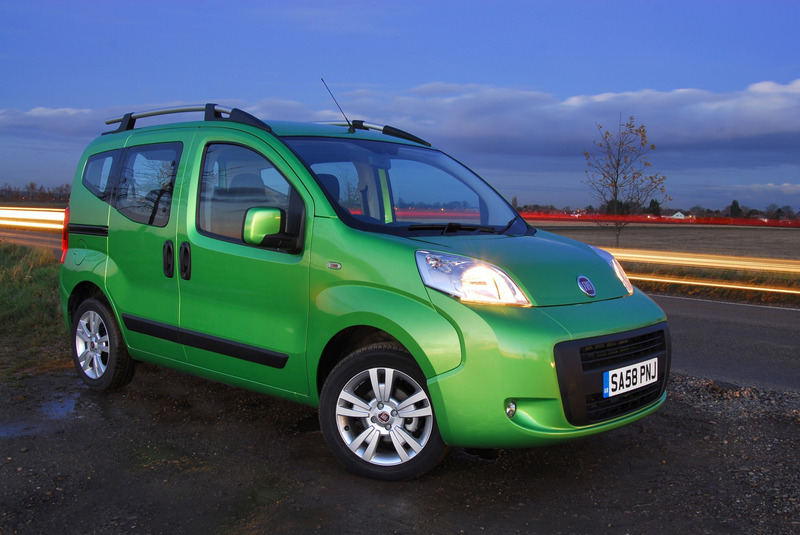 Safety is such a priority for Fiat that it's been incorporated into the Qubo's style. 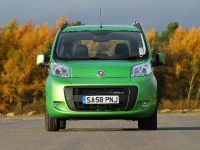 The robust front bumper doesn't just give the car a streamlined appearance; it's also been designed to resist low speed knocks and protect more delicate parts such as the headlights, bonnet and radiator. 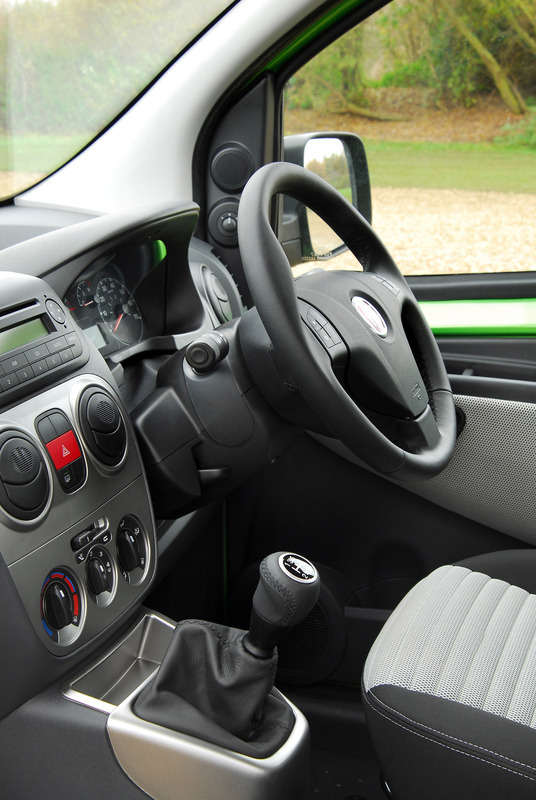 The enormous glass area combines with a high driving position and front pillars that have been kept to a minimum thickness to ensure excellent all-round visibility. For anyone wanting added peace of mind, parking sensors are optional. 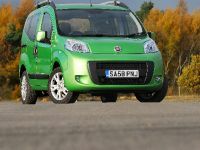 The powerful braking system features discs at the front, drums at the rear and employs ABS anti-lock braking with four active sensors to ensure swift and safe stopping in all conditions. The system is further complemented with EBD Electronic Brake Distribution which helps the driver use the brakes as efficiently as possible during emergency situations. 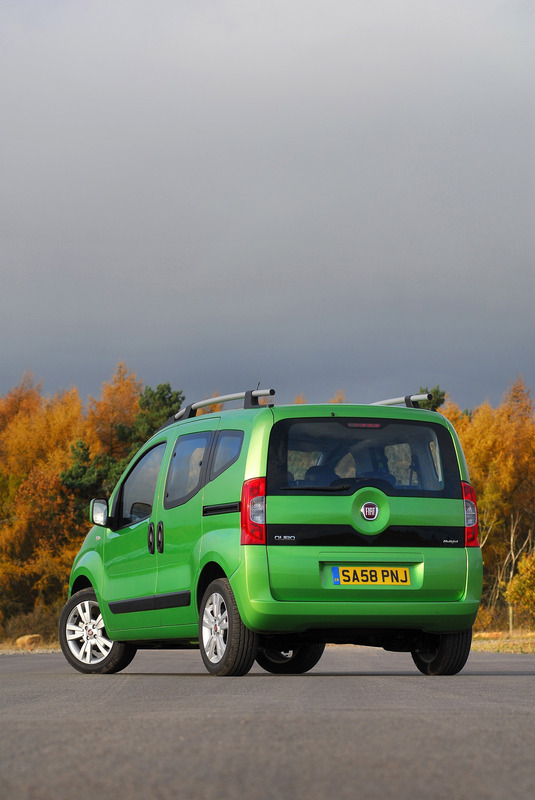 ESP Electronic Stability Programme features a Hill Holder function to ensure seamless starts on slopes. 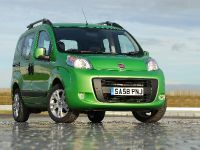 Although a Euro NCAP rating isn't available yet, Fiat is confident the Qubo will score highly, thanks in part to the wide range of safety features all models incorporate. 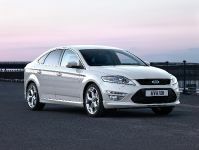 Driver, passenger and side airbags are standard across the range, as are head restraints and three-point seatbelts for each of the five seats. 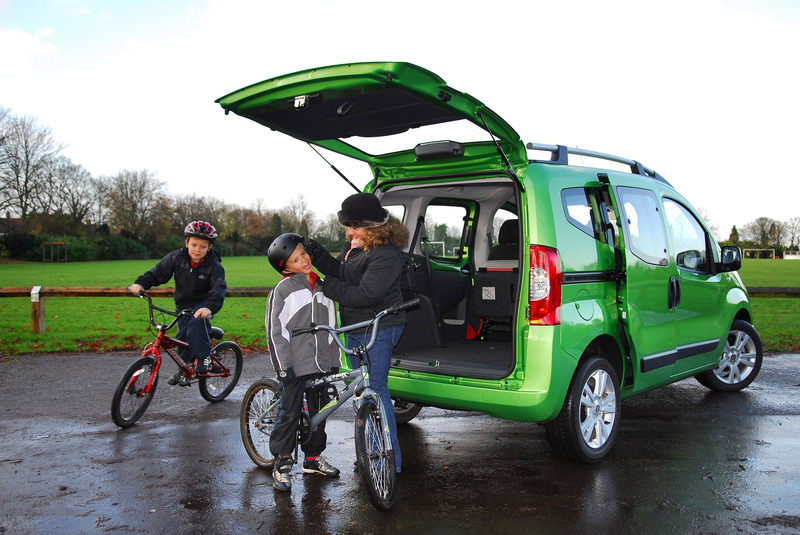 Further enhancing the car's family-friendly credentials, an Isofix universal anchoring system for child seats comes with every model, as do electronic door locks that are activated as soon as the new Qubo reaches 12 mph. Dead-locking doors are standard on every model. 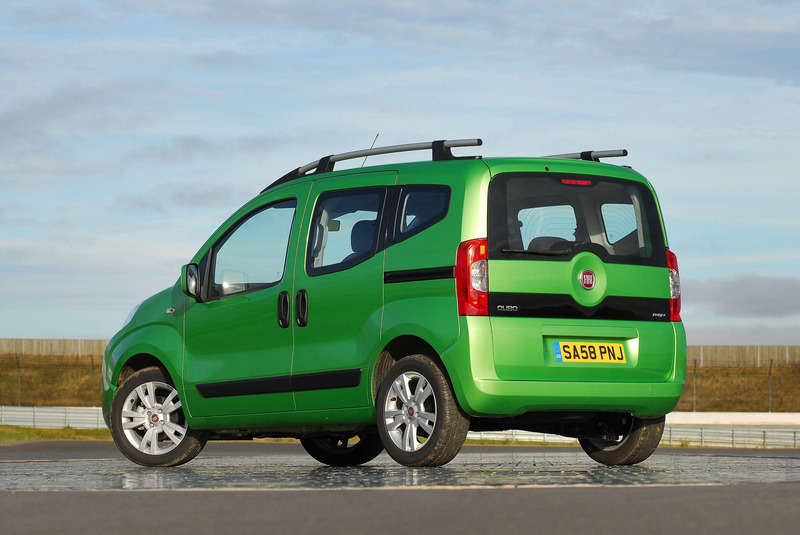 Proving that Fiat believes its customers' safety requirements are of the utmost importance, even comfort-enhancing standard features play a dual role. 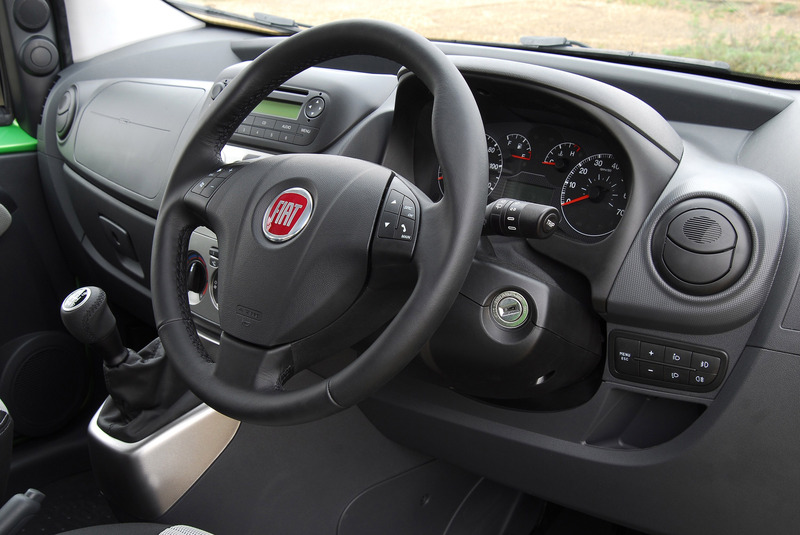 The leather-covered steering wheel adjusts for height and reach to ensure all shapes and sizes can find the best, and therefore safest, driving position. In addition, every Qubo is fitted with Fiat's revolutionary Blue&Me hands-free communications system. This provides a simple means for drivers to connect their mobile phones and media players to the car using Bluetooth technology. They can then make or take calls, listen to text messages or operate music players without taking their hands off the steering wheel. 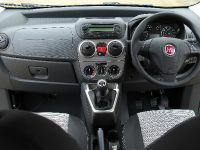 There's a USB port to plug-in MP3 players, and controls for this as well as the standard four-speaker radio and CD system are mounted on the steering wheel. Combining with the voice-activation capabilities of Blue&Me it means in-car entertainment has never been safer. 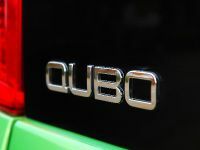 The standard equipment provision of Blue&Me also means that all Qubos will soon be eco:Drive enabled. 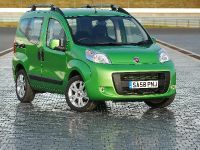 By using a shortened version of the Grande Punto platform, Fiat has built the new Qubo around a base that's already won its fair share of praise for composure and responsiveness on the road. 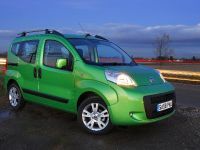 In the Qubo this has been adapted to provide occupants with an even more comfortable and stress-free ride. 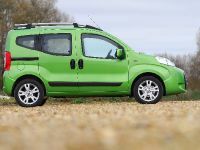 However, it remains responsive and manoeuvrable with an impressive 9.95 metre kerb-to-kerb turning circle to ensure driving round town is as easy as possible. 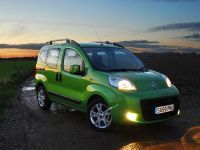 Qubo comes to the UK with a choice of two reliable, economical, low emissions engines: a 1.3-litre MultiJet turbodiesel and a 1.4-litre petrol. 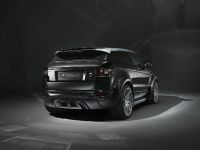 Both are refined and flexible, and have been designed to let drivers fully exploit the car's ample charms. 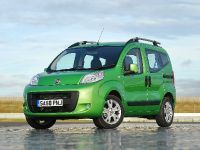 Fiat's award-winning 75 bhp 1.3-litre MultiJet is the world's smallest and most advanced second generation turbodiesel. Like its petrol partner it conforms to ever more stringent exhaust emissions requirements. Thus, the turbodiesel's carbon dioxide output is impressively low at 119 g/km, putting it in the £35 Band B for Vehicle Excise Duty. 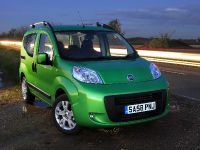 It's very economical too, returning a thrifty 62.8 mpg in the combined cycle, meaning drivers should be able to cover up to 625 miles on a single 45-litre tank of diesel. 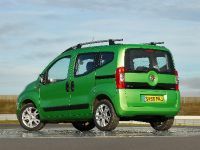 But Qubo isn't just about saving money, and the refined Qubo MultiJet has a handy turn of speed thanks to a healthy 190 Nm of torque at 1750 rpm. 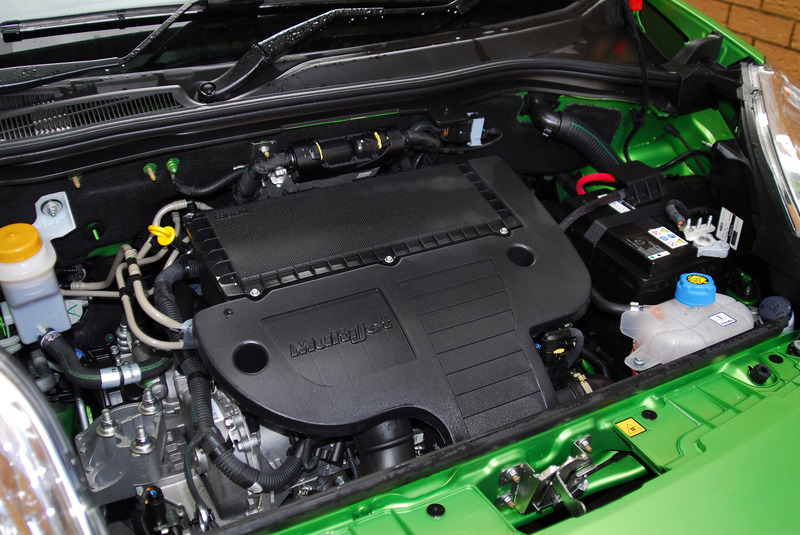 The equally lively 73 bhp 1.4-litre petrol engine has also been designed to provide a smooth compromise between performance and economy, with 40.4 mpg in the combined cycle and CO2 emissions of 165 g/km. 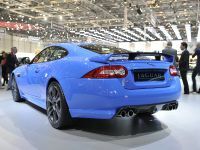 Either engine can be specified with a five-speed manual gearbox, while MultiJet buyers have the option of a six-speed Dualogic clutchless sequential manual shift with fully automatic mode. 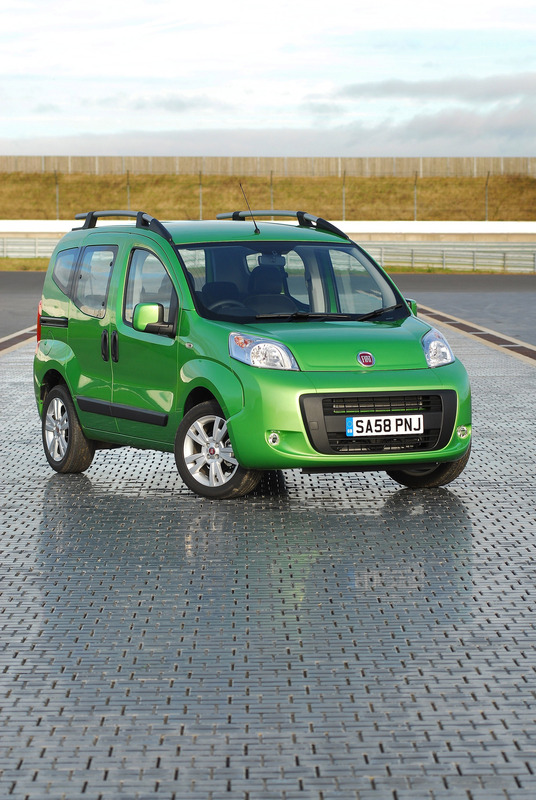 The slick-shifting Dualogic has been designed so owners can maximise driving enjoyment in all conditions. It can be used as a clutchless manual with the driver changing gear simply by pushing and pulling the lever. 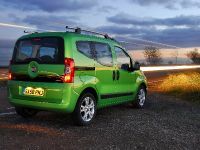 Alternatively, it can be left in ‘Automatic' mode and the transmission takes full control. 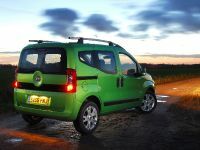 There's even an ‘Economy' button which will cut fuel consumption by ensuring you're always in the most economical gear. 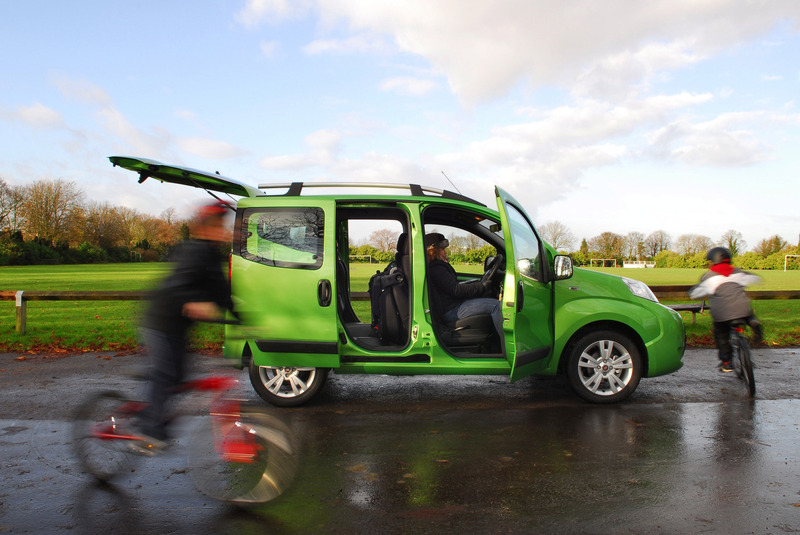 There are more steps Qubo drivers can take to make the fuel they use go further and reduce their carbon dioxide emissions. 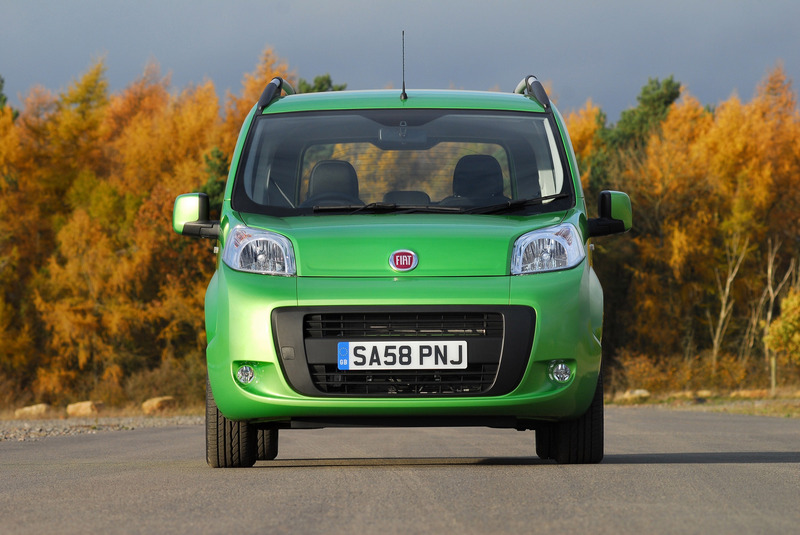 Like every Fiat fitted with Blue&Me, Qubo will become available to operate with eco:Drive. By plugging any USB key into the car's Blue&Me port, drivers will be able to record details of the car's efficiency and their driving style during a journey. 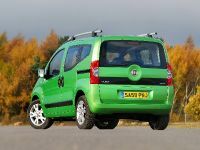 Downloading eco:Drive software from www.fiat.co.uk/ecodrive onto a computer will enable drivers to analyse fuel consumption and emissions for each journey and receive their eco:Index score out of 100. They'll then be given advice on how to improve that score and reduce the impact their driving has on the environment. 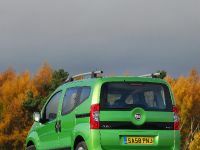 Developed by Fiat, eco:Drive is a new tool to help people drive more efficiently, saving fuel and reducing their CO2 emissions, and comes as concern over climate change continues to grow, and car makers globally are being called on to exercise even greater responsibility. 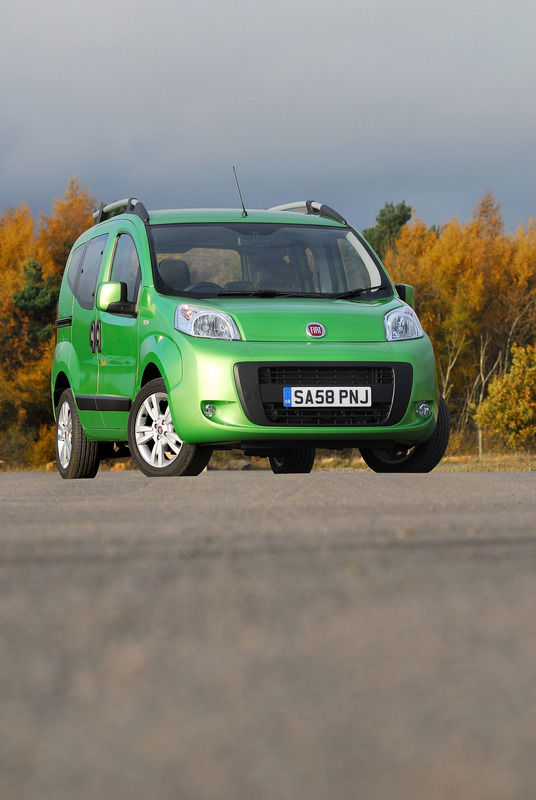 eco:Drive is an expression of Fiat's commitment to that responsibility – taking into account every aspect of a vehicle's life cycle. 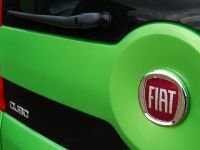 Fiat does not believe that a car manufacturer's responsibility ends when a customer drives a new car away from the showroom – it is also concerned with how people drive. 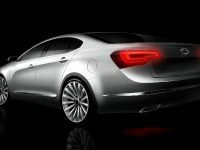 The system works using Fiat's widely acclaimed Blue&Me entertainment and communications system. Plugging a USB key into an appropriately enabled Blue&Me port allows eco:Drive to record information about your driving style. Inserting the USB into a computer then shows how you performed, and how you can become a more efficient driver. This is the first time that drivers of standard road cars have been able to receive detailed information about how they are operating their car by exporting it to their computer. This concept of linking in-car diagnostics with a desktop application aims to give users information about how they actually drive. The system analyses driving techniques and awards marks out of 100, providing a score on an ecoIndex. This shows how efficiently you have driven based on your acceleration, deceleration, gear changes, and speed. Step-by-step tutorials then help you improve the score, showing you how to perfect your driving using information from your own journeys. 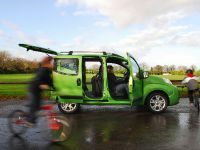 eco:Drivers can expect to make improvements of up to 15 per cent in their driving efficiency. 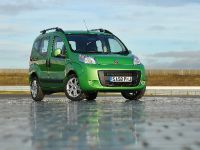 This means reductions of 10-15 per cent in CO2 emissions, and substantial savings on their annual fuel bill. This new technology is not just about individual gain – it's also about a collective spirit. 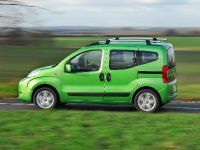 Fiat's unique online community, ecoVille, will be populated by all Fiat eco:Drivers around the world, and will show how much CO2 they are all saving together. 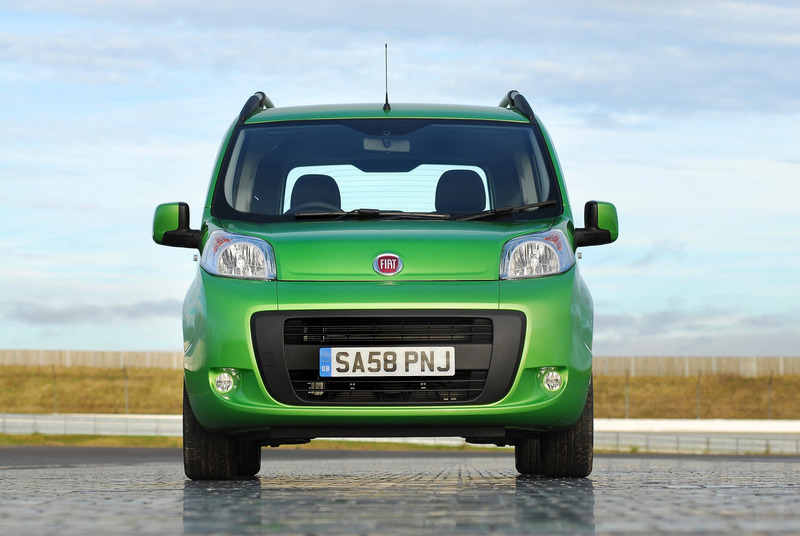 Drivers are encouraged to give feedback to help make eco:Drive as useful as possible. 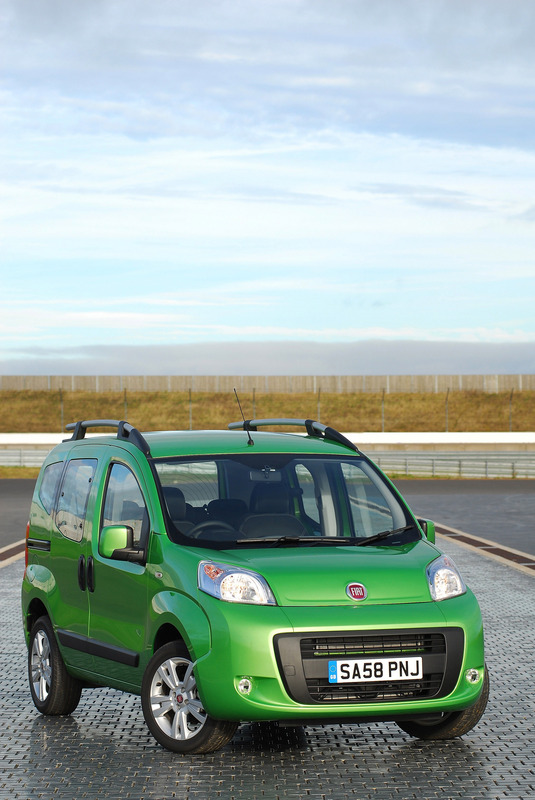 eco:Drive is already available to download and install – free of charge – for the Fiat 500 and the Grande Punto. 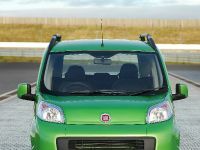 During the course of this year it is being extended to the rest of the Fiat range with Blue&Me. It is open to testing and feedback from users, in order to make the application even more useful in the future. 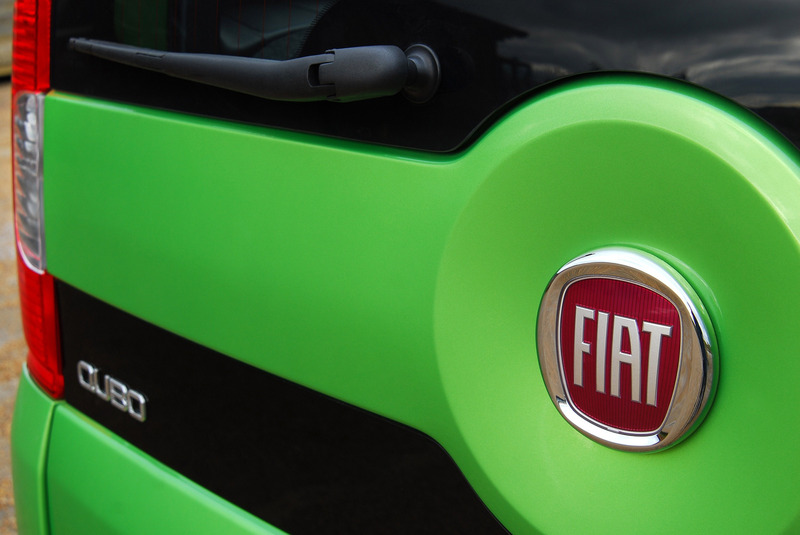 Since its foundation over a century ago, Fiat's mission has been to provide vehicles that are close to customers' needs, answering the challenges of the day. 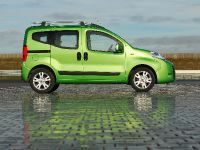 Its cars have always been designed to enhance people's quality of life, making driving fun and affordable, while making as little impact as possible on the environment. 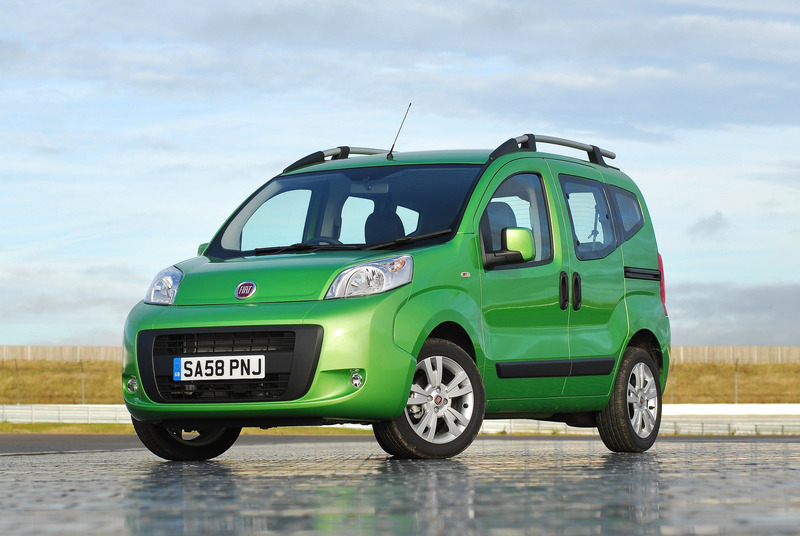 Bulky performance gas-guzzlers have never been Fiat's style. 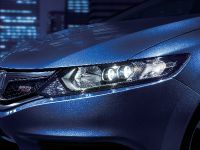 Instead it has been more interested in developing the best technology and sharing it with its customers – through a range of cars that everyone can afford. 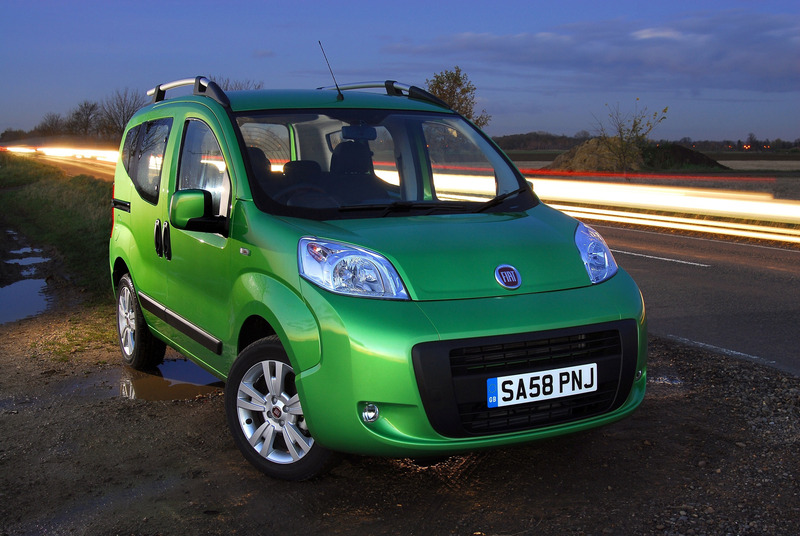 Today Fiat is still recognised as the leading manufacturer of small, practical and efficient cars. And its heritage as an environmentally-aware manufacturer of economical cars continues to shape its approach to innovation and design. 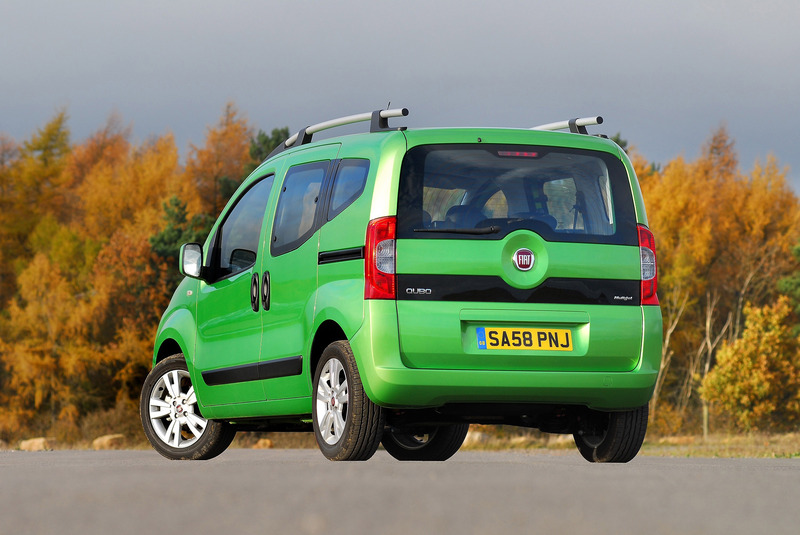 Fiat is committed to a 360˚ approach to reducing the environmental impact of its vehicles throughout their life cycles. This includes the way they are designed and manufactured, the efficient technology they feature, how they are recovered and reused at the end of their lives, and the way they are driven. 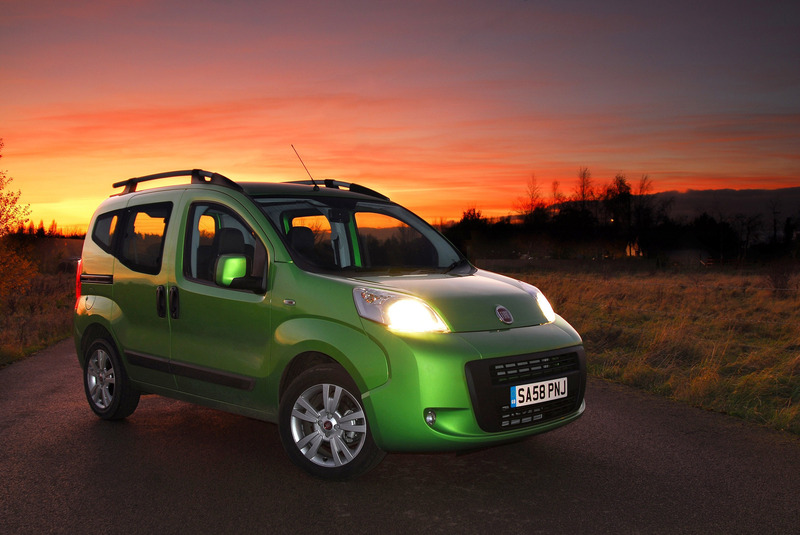 Qubo gives new meaning to the phrase Multi-Purpose Vehicle, thanks to Fiat's expertise and experience in the design and build of compact cars. 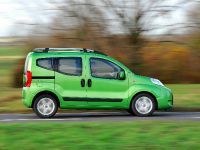 At just 3.96 m long and 1.68 m wide, its dimensions have been conceived to make a city-friendly yet practical alternative to superminis and smaller MPVs. 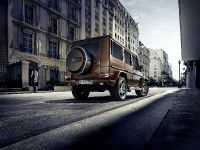 The fully flexible interior has been designed to cope with a vast array of demands. Instruments are clearly laid out on a stylish dash that's further enhanced on Dynamic models with a sleek aluminium look. 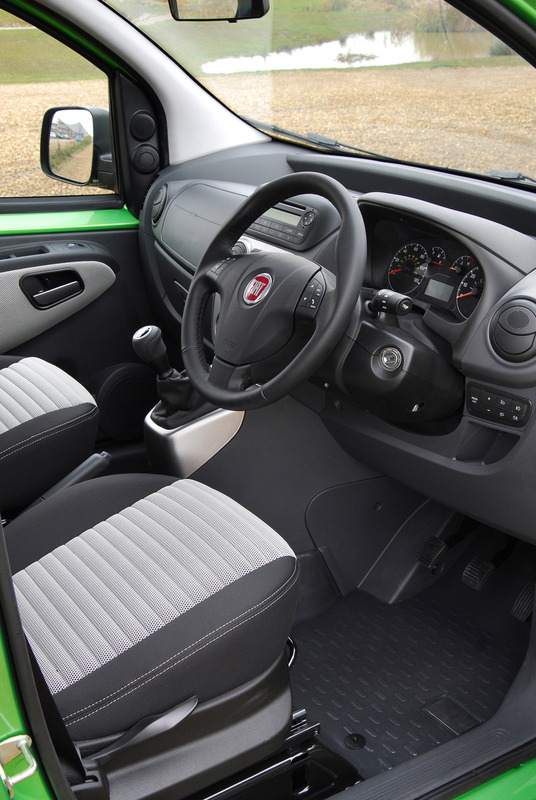 The seats are comfortable yet supportive with a choice of three types of attractive and hard-wearing fabric trim. 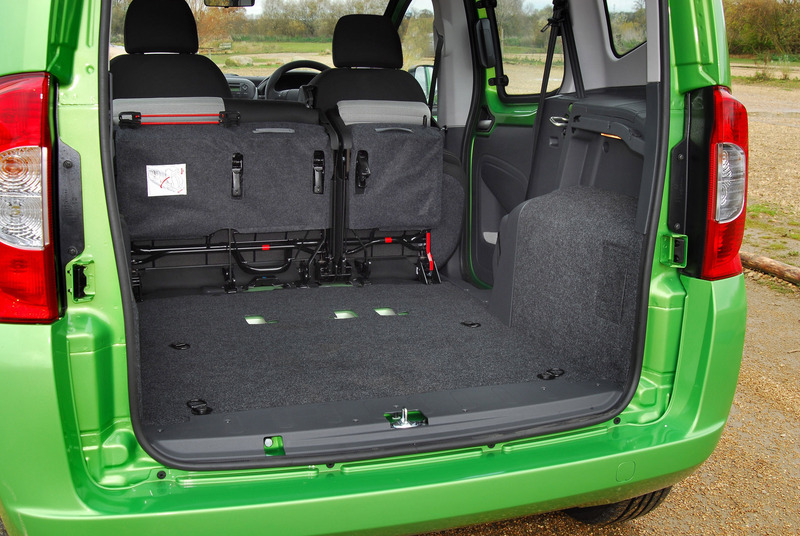 Even with the rear seat backs in the raised position there's a handy 330 litres of space up to the rear parcel shelf. Remove that, and the boot offers a total of 650 litres up to the roof. 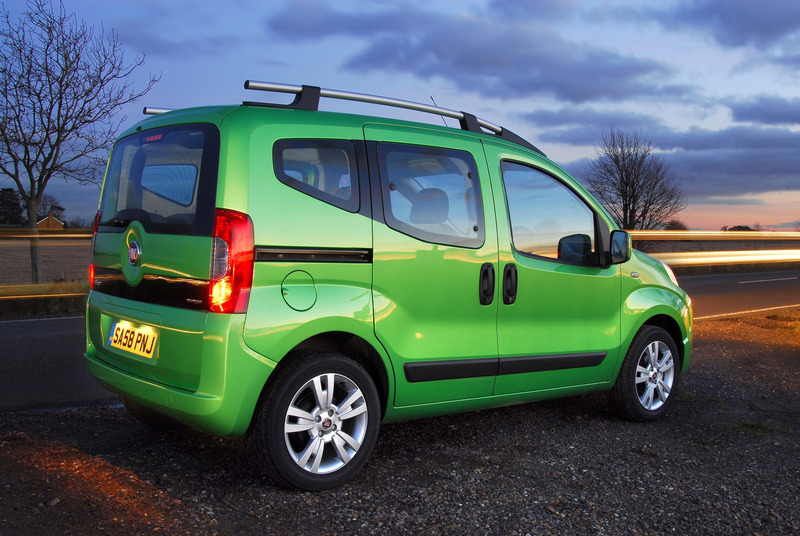 But space is no use if it's not sensibly shaped or easily accessible, and the Qubo excels on both these counts. 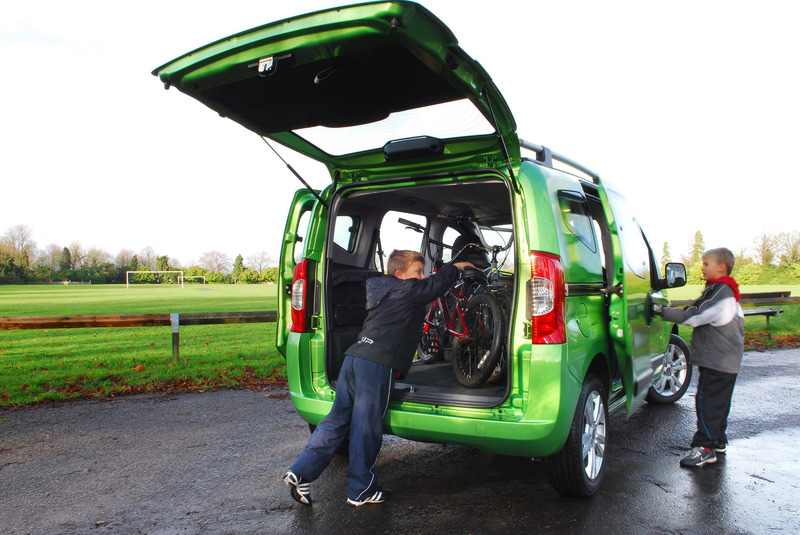 The sliding rear doors make access to the back of the car simple for both passengers and loads. 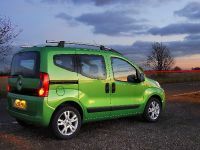 And the top-hinged rear tailgate opens to reveal a low loading lip that's the same level as the floor, ensuring heavy objects slide effortlessly into the boot. 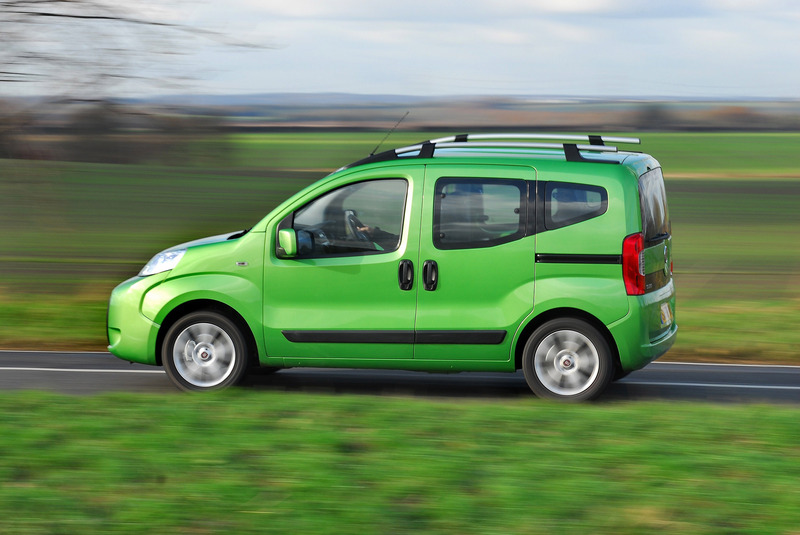 Living up to its name, Qubo's shape is also satisfyingly square, making it easy to exploit the interior space. The rear seats fold and split 60/40, and also tumble forwards into their footwell. 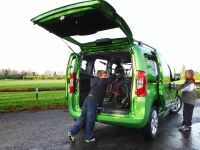 To reveal a capacious boot floor that's completely flat, it's a simple job to lift them out, and a best-in-class 2500 litres of load space becomes available. This car doesn't just cater for large loads. 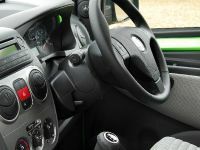 The cabin has been thoughtfully detailed with plenty of cubbies for everyday objects, and for added functionality the glove box is deep enough to take a lap top computer. 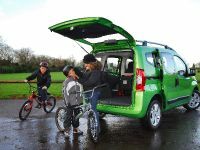 For buyers with a real lust for life, accessories include a cycle carrier, ski rack for three to four pairs, and a windsurf carrier. 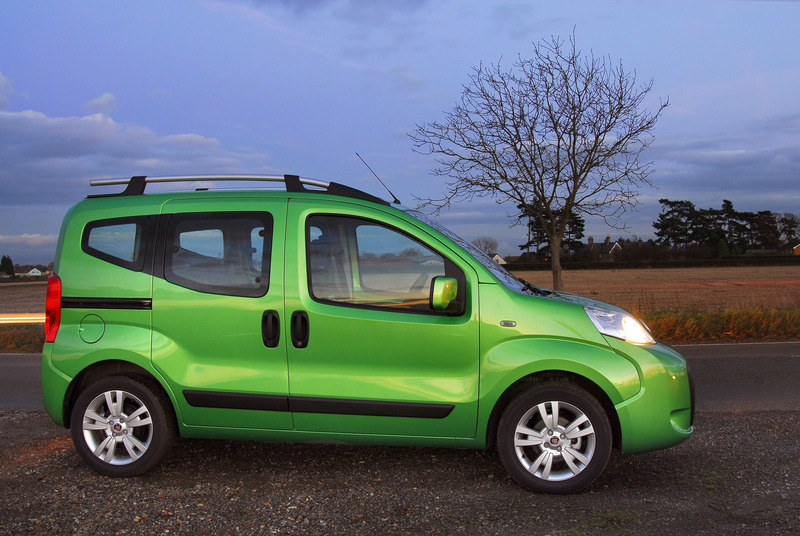 Yet despite all this versatility the Qubo is still capable of turning on the style. Its wheel-at-each-corner stance makes it look dynamic yet sturdy at the same time. And the massive amount of glass doesn't just afford occupants tremendous visibility; the low window line gives the cabin an airy and spacious feel. 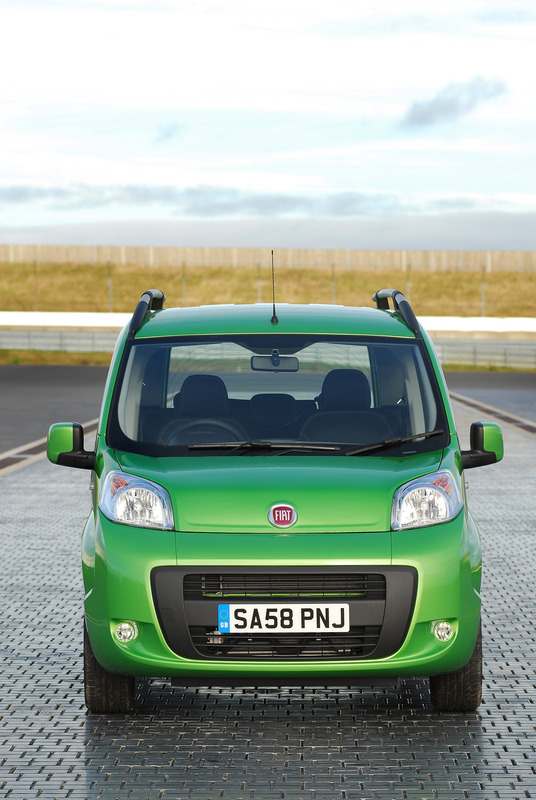 It further enhances a unique recipe designed to help people get the most out of their car – as well as their lives.